Random Thoughts About the Current Louisville Real Estate Market | Joe Hayden Real Estate Team - Your Louisville Real Estate Experts! The ancient cliche/proverb "may you live in interesting times" certainly applies to the current Louisville Real Estate Market. Seem by some as a blessing and others as a curse, the proverb nevertheless expresses the market uncertainty and confusing signals that we have seen now for several years. I wanted to put down in writing a few random thoughts about the market to challenge your mind and to help you understand how to best operate in our current market. Many times, broad real estate market forces are driven by the overall perception of the buying and selling public. Buyers want to buy in a Buyer's Market and sellers want to sell in a Seller's Market. 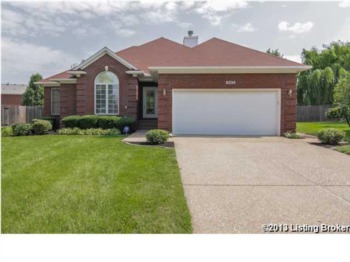 So what is the market like in the Greater Louisville Area? I can best describe it as a hybrid of both a Buyer's and Seller's Market. 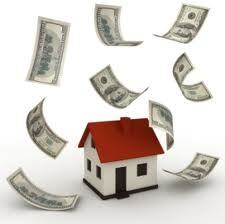 Interest rates are incredibly low and the total inventory of homes is high, favoring a Buyer's Market. Conversely, the inventory of desirable homes in a good location is very low, favoring a limited Seller's Market. Many times, these two opposing forces clash as buyers and sellers discover these market forces colliding in desirable areas. Buyers have been led to believe by the media that we have never seen a better Buyer's Market than today. This causes them to make lower offers, expect lower accepted prices and to wait to act because they believe that there is no urgency in the market. Sellers have been led to believe that they need to lower their prices, expect longer days on the market and be prepared to compromise extensively to bring a deal together. Move those sentiments to desirable areas of town and the best homes in those areas, and buyers are shocked to find homes with 3-5 offers on them within a few days of going on the market. 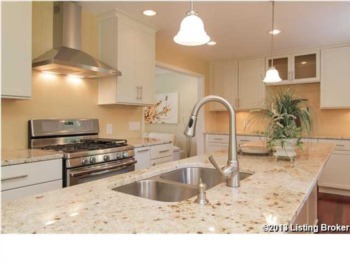 Sellers are amazed to get numerous showings, and one or more good offers within a very short period of time. In other words, reality conflicts with what is spread through the media and other sources. In the Greater Louisville Area, you need to ignore general market information and get very specific to the area that you desire to live or from which you are selling. If you live in St. Matthews and are selling your home, you may find that it is pounced on with motivated buyers immediately after listing. If you are a buyer looking in the same area, you may find yourself losing more than one multiple offer situation until you change your negotiating tactics. Studying the current Market Statistics for the specific area in which you are buying and selling is critical to understanding how to negotiate, how fast to act, how to decide on a price and how to be prepared with potential areas of stress and frustration to minimize emotional reactions. What is the Best Strategy for a Multiple Offer Situation? If you are buying or selling a nice home in a desirable area, it is a very real possibility that you will end up in a multiple offer situation. What is the best strategy for both home buyers and home sellers in such a situation? From a home seller perspective, facing multiple offers is a good thing in many ways, but if handled poorly can result in you driving away the best buyer. In my opinion, the best way for a seller to handle a multiple offer scenario is to notify in writing all parties involved of the multiple offer situation. Your agent may have access to a form for this purpose or you can create your own, but it should include a notice that multiple offers have been received and it should request that all buyers submit their highest and best offer by a specific time. Make sure that your time limit is reasonable. 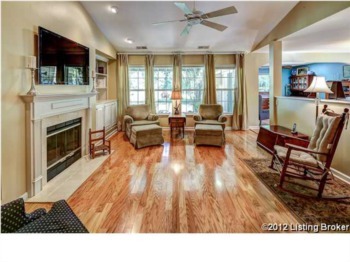 Hopefully, the prospective buyers will improve their offers and a clear winner will appear. If not, you can repeat the process as necessary to get the best possible terms. Keep in mind that every situation is different and you have to make decisions based upon the information at hand. It is possible that one offer may be so much better than any of the others in a multiple offer situation that you either counteroffer or accept that one offer and reject the others. Be aware of this, especially if you get a really strong buyer, because you do not want to accidentally scare off the best buyer just to make a slight improvement in terms. From a home buyer perspective, multiple offer situations can be frustrating and result in you paying more for a home than you may have anticipated. The key to dealing with a multiple offer situation as a home buyer is to anticipate that it can happen and be prepared with an objective plan. In the current market in Louisville, many, many home buyers have been caught off-guard by the changes in our market and have failed to anticipate multiple offer situations. Therefore, they have made lower offers than they should have, waited too long to act and in general become overly emotional when faced with a multiple offer scenario. In my opinion, the best way for a home buyer to handle a multiple offer situation is to structure the best offer in writing that is possible given their personal situation. Offer the highest price that you are comfortable accepting yourself, put the most favorable financing terms you can secure, be flexible on closing dates and times, consider paying closing costs and other expenses out of pocket and conceed right up front any other terms that you would be willing to accept in a normal negotiating situation. Your goal as a buyer in a multiple offer situation is to shut down the negotiations immediately. Either get the sellers to accept your offer right away, get a counteroffer only to your offer or get them to exclude most of the other offers and just work with you and a few select other offers. By anticipating the multiple offer situation and making a strong offer, you can help prevent a bidding war that can unreasonably raise the price of the home. You need to protect yourself as a buyer by setting negotiating boundaries before emotions run high and you need to act fast, which can add tension to the deal. 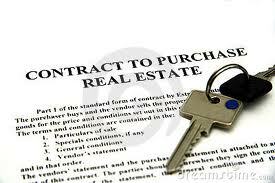 Be aware of the pitfalls of negotiating multiple offers and stay focused on executing your plan. I hope that these tidbits of information and random thoughts help you this coming year if you are partcipating in the Louisville real estate market. The times are different and it sometimes takes novel and creative approaches to successfully acheive your goals. Always start with the current market data and perform an objective analysis, then make your adjustments from that point. I wish you an exciting 2013 in real estate!